Come join the fight for Liberty from the British! We need to take our rights back and stop being forced to follow the British government's ridiculous acts. We need to be able to govern ourselves, and not be governed by people hundreds of miles away. They don't know what life is like here and how things run. We must fight the injustice that is the British. We don't need the government for our economy to thrive. We have tremendous trade possibilities and we don't need the government interfering with our business. The fact that the government plays a role in our economy is an injustice in itself. 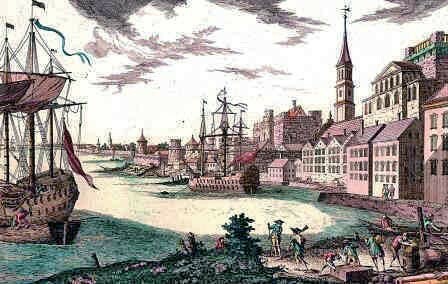 The navigation acts inhibit foreign trade from other countries by taxing ships and driving up prices, making trade more difficult. Without the acts, our economy would be better off and we would be able to reach our full potential. The British are also messing with our rights and treat us harshly. We shouldn't have to pay ridiculous taxes on everything day items or be forced to house soldiers in our homes. Also, we shouldn't be controlled by how much land we can conquer. 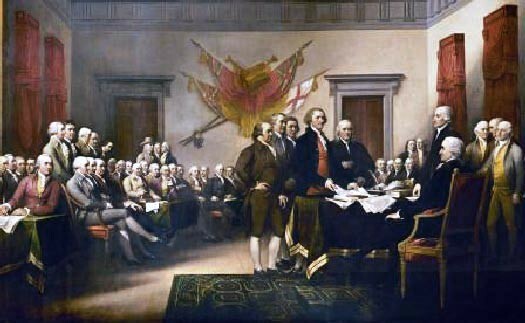 The agreements made in the Proclamation of 1763 were unfair and we should be able to settle past the Appalachian mountains. Under the British, we are too controlled! We need to fight for liberty! Another injustice that we face is the large amount of taxes. We are taxed too much by the British and punished through taxes. The British are trying to pay off war debt through our taxes and make us pay for the war which is unacceptable. It is there job as a government to protect us and we shouldn't be punished because they had to do their job. 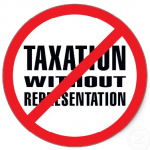 We need to at least have a say because,"taxation without representation is tyranny".